Maitreya, I am. On my birthday and the day of my ascension, there is always a big celebration around the world. It is a time where you could say an extra dose of the energy of compassion flows into the world from other realities. Before, you were already linking with this energy of compassion and the many Masters linking in the Wesak Valley. I am going to speak about compassion and service. In my lives before I reached the stage of my ascension, I was also involved in service to humanity and all the beings on the planet, not just human beings. In my previous life to the one known as Buddha, I was also in service. Some of you have visited a place in Nepal where there is a picture that depicts the main service I gave in that life. Before I speak of that, I would like to remind you the true essence of service is selfless service, and this is much different than service through ego. Service through ego is being driven by ego to perform actions which satisfy the ego and make it feel better. Any kind of service will do that satisfies the ego in this case. Selfless service is different. It is service without thought for the self through ego. So you come back to this lifetime before my life as the Enlightened Buddha. One day I was walking in the jungle. I saw a tiger and it had cubs. They were very hungry and the mother had a problem with her leg and could not hunt. If the mother dies, the babies also die. I spoke with the mother. She confirmed my conclusion of what I saw in front of me. She said: “If only I could get some food, maybe my babies would be strong enough to catch things for themselves, and they would be able to grow and survive and continue.” I said to her: “Ok, you can eat me, and this will be my service to creation in this life.” So she did with great thanks to me. I am not suggesting that you give yourself to tigers or lions or anything like that. What I am suggesting to you is to maybe re-examine the service you are giving to the universe and all the beings. Are you really in service, or are you satisfying your ego? It is a very pertinent question. Service through compassion. What is compassion? Compassion is a way of living, and in this way of living is included “how you think”. Think about it for yourself. Do you immerse yourself in compassion? Are you being compassionate to yourself, or do you say: “I am compassionate to others but I am not worthy”. This is part of the true essence of the teaching of the Buddha. You can also look upon it as correct thought. You have heard so much about compassion and creation through spoken word and thought. This is the basics of creation through the spoken word and thought. So I ask you to take another step into compassion, and be compassionate to yourself. Remember, you are already everything. You are already the light, love, and all the knowledge in creation. So be kind and considerate to yourself as you go through the true realization of your heart and totality of your being about this. Now, pay attention to the space above your heads and affirm, “I am open to receive, I AM That I AM”. Now we bring this activation of the energy of compassion. We bring this energy to all the beings that have requested it. In accordance with Divine Will, we connect to the energies of the Wesak Valley. See in your minds all the yogis, Masters, multidimensional beings from different philosophies gathered at Wesak in the mountains. Imagine in the middle of our circle, there is a very large crystal bowl and in this bowl is water from Narmida holy River in the Himalayas. The energy of the Multidimensional Masters, Masters in the Wesak Valley, and Buddha is flowing into this bowl. The energy of the water radiates through the bowl touching each one present and starts to touch everyone who has requested this energy. So sit and receive this energy. Step forward in your minds and take a mouthful from the bowl. 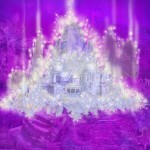 As in the other activations we have done, the energy goes into the crystalline grids. All the activations and clearings we have done merge together and run through the crystalline grids and earthkeeper crystals of Africa and the planet. May all the beings who arrive in South Africa for the upcoming large worldwide event receive all these activations in accordance with Divine Will and their I AM Presences, and as they go back to their own countries, may they release the codings to the other people just by their presence. Send all the activations and programmings to all beings who have signed up on the activation lists in accordance with Divine Will and their I AMs. 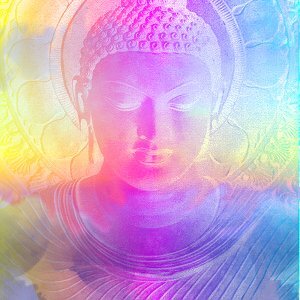 We ground fully the activation of the Buddha and Wesak to all requested, to humanity, to the grids of the people, and to Africa and the rest of the world. Activate, activate, activate. With joy, Buddha I AM, I leave you. I am here in some ways to give you the final address. I have not got a million words to share. The most important thing I have to share with you is “congratulations for dedication”. Also, an appreciation for the effort and focus that you all have brought to these activities. So many of you all with a focus on one name to follow my request the very best way that each and every one of you can. And you all know that if you have done your best, it is perfect, whatever you think about it yourself. For best is all you can do. Beyond best, there is nothing else except the next step. So let us all gather in our hearts and transfer everything that we have been carrying and received on this trip again into the heart of Mother Africa. Say in your minds, “I share”. Feel it. Feel the Mother opening her arms and taking all this love, light, compassion, the divinity, the enlightening DNA codes, and everything else you have triggered straight into her open heart. In exchange, Africa puts her arms around you. She is telling you, “I love you. I love you. I love you.” For it is true that most of you are my children. Those of you that are not my children–you came from the angelic realms. I welcome you as I welcome my own children. It is true the planet, Goddess Gaia, is your Divine Mother on earth. Her mother energy at this time is again focused in Africa. And may the Mother spread her love across the planet embracing all her children and adopted children so that every being, human or otherwise, again consciously experienced the love of the Mother. There are pyramids here in this place. Here in this place is one of the ancient pyramids and two copies. They are covered with dirt and mud, covered by Mother Earth during the Great Flood. I bring the energy of Mother Africa to this original pyramid and transfer it so it may amplify and transmit. Hear my heart beat, not only the pulse of the earth, but the pulse of the universe. Let it vibrate through you. Just assist in releasing any residues of slavery and separation. With the love of the Mother, I depart from my channel.